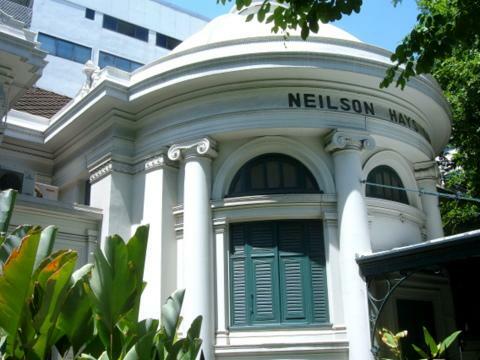 The Neilson Hays Library has its origins in early Bangkok in the latter half of the 1800s, when Silom was referred to as Windmill Road. It was 1869, a year into the reign of King Rama V.
In that year, the Ladies Bazaar Association in Bangkok, a charitable organization founded in 1866, raised funds for a library to cater for the reading needs of the increasing English speaking community residing in Bangkok. Back then, it wasn't called the Neilson Hays Library but the Bangkok Ladies Library Association. For a start, the books for the fledgling library were stored in a private residence. Later the Protestant Union Chapel in Charoen Krung Road took over this responsibility until 1900. The Protestant Union Chapel later became Christ Church in Convent Road. For the next 14 years the library was housed in temporary premises. In 1881, Jennie Neilson, the lady who was to have considerable influence on the library and the present building, arrived in Thailand as part of the Protestant Mission. Jennie Neilson married Dr Thomas Heyward Hays, Chief of the Royal Thai Navy Hospital in 1887 and they moved to Bangkok. 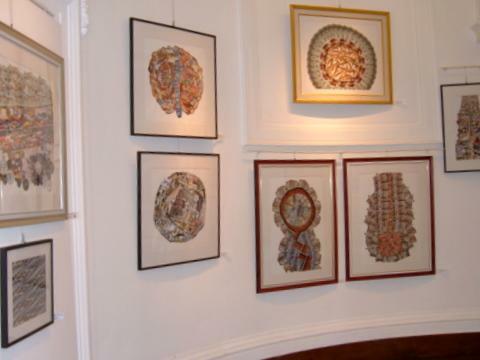 From 1900 she was actively involved in the Bangkok Ladies Library Association for the next 20 years raising funds through annual bazaars to supplement the subscriptions. 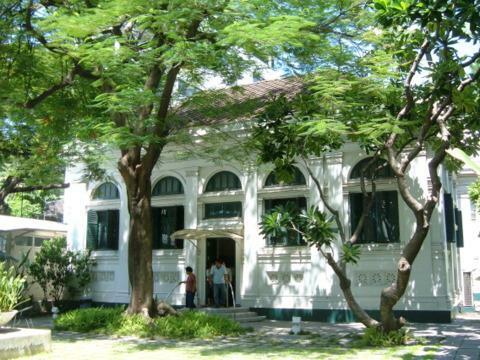 The name of the library was changed to Bangkok Library Association in October 1911. In 1914, the association decided to buy a plot of land in Surawongse Road for a permanent home for the library to reduce the strain of rent. One of the older roads in Bangkok, Surawongse Road was built in 1897 by the excavation of a canal which has since been covered for road expansion. Named after Chao Phraya Surawongse Wattanasak, Surawongse Road was a popular residential area in early Bangkok. Jennie Neilson was President of Bangkok Library Association from 1914 till 1920 when she died of cholera. Dr Heyward Hays commissioned Mario Tamagno, an Italian architect, to design a building in memory of his wife Jennie. Hua Lampong Railway Station in 1910. The new building for the library in Surawongse Road was opened on 26 June 1922 and named the Neilson Hays Library. What piece of Italian architecture would be complete without the characteristic dome? Tamagno designed a rotunda as the grand entrance to the main building. The stone inscription in memory of Jennie Neilson Hays high up on the wall of the Rotunda Gallery is flanked by old photos of Jennie and Dr T Heyward Hays. 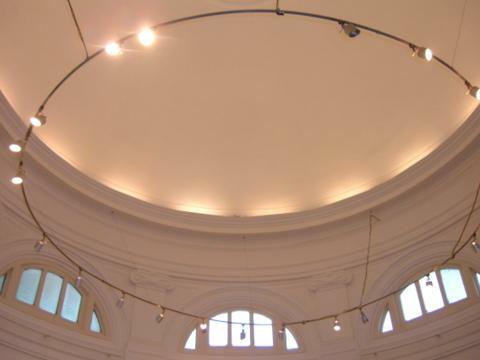 This entrance is no longer in use and the rotunda serves as a gallery for art exhibitions today. The main entrance to the library is through the side door. 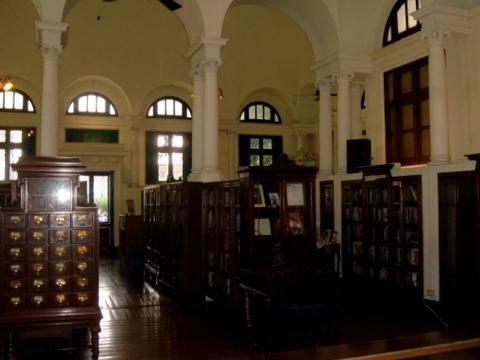 The library was originally set up to cater for the recreational reading of the foreign community in Bangkok. Today the Neilson Hays Library caters to a substantial local reading population, particularly children. 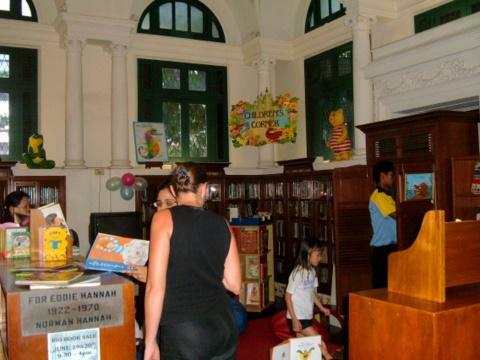 Activities are conducted to encourage reading habits among children and a section of the library is dedicated to the Children's Corner. 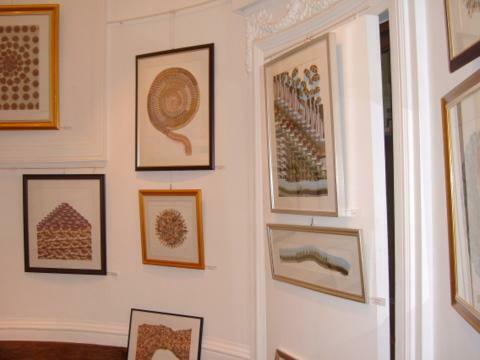 In addition, art exhibitions and meet the author sessions are also organized. 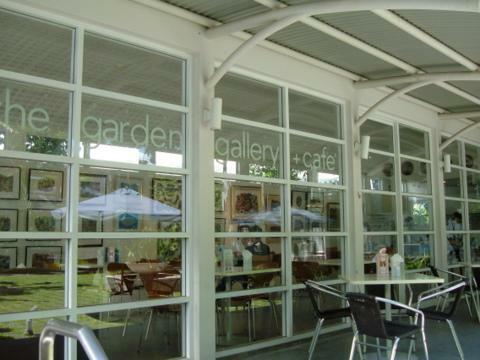 The Garden Gallery and Café a white single-story building, just beyond the shady courtyard, includes a café and exhibition room in a bright and airy decor. In June 2006, the Neilson Hays Library celebrated its 84th anniversary. The tradition of volunteers staffing the library continues to this day. The spirit of Jennie Neilson Hays and her fellow members of the Bangkok Library Association live on in the library. I’d like to thank Anne Marie the librarian at Neilson Hays for her kind permission to take these photos. For more on the library and its activities, please see Neilson Hays Library. The library is in Surawongse Road just next to the British Club. 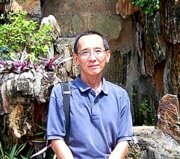 The easiest way to get there is to take the skytrain to S3 Chong Nonsi Station. From the skytrain station, it's a 600 m walk along Narathiwat Road, past the junction with Silom Road, to Surawongse Road. Turn left at Surawongse Road and proceed for another 400 m.
You'll pass the entrance to the British Club, after which the rotunda at the front of the library will come into view. The Neilson Hays Library is open from Tuesdays – Sundays from 9:30 am – 4:00 pm. The library is closed on Mondays and public holidays.